Perfect for storing beds, small business storage, white goods and furniture from a two-bedroom house. Perfect for storing warehouse goods, business products for traders, eBayers and online retailers or beds, white goods and furniture from a three-bedroom house, this unit is as spacious as one and a half single garages. Perfect for traders, home movers and online retailers. As spacious as one and three-quarter single garages, you can store beds, sofas, tables, chairs and white goods from a 4 bedroom house, as well as large stock deliveries. As spacious as one and three-quarter single garages, you can store beds, sofas, tables, chairs and white goods from a 4 bedroom house, as well as large stock deliveries. Amazing space for those with lots of stocks, goods from a four 4 bedroom houses and and large stock deliveries. Fantastic space for those who need extra space equivalent to large warehouse stock or a five bedroom house. Perfect space for those who need extra space equivalent to large warehouse stock or a five bedroom house. This is similar to the size of a standard double garage. Plenty of space to comfortably holds the furniture and garden equipment of a five bedroom house or lots of large warehouse stock. Perfect for storing the contents of a five bedroom house or lots of large warehouse stock. 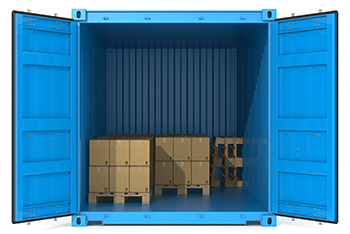 This unit is an excellent choice for storing goods of five-bedroom house, contents of a 10 room office building or for large warehouse stock. Perfect for storing the contents of a five-bedroom house, contents of a 10 room office building or for large warehouse stock. This unit is the size of a 30ft articulated lorry. Perfect for packing up a five-bedroom house or for lots of goods or contents of a large office. Perfect for packing up a five-bedroom house or lots of products. Comfortably store the contents of a six bedroom house or 12-desk office space or large business warehouse space.